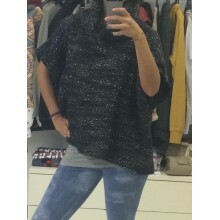 Poncho tailoring completely handmade piece, sleeveless, large collar double lapel black and white. One size fits all. 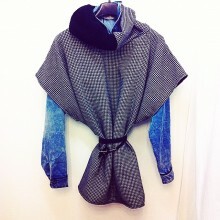 Long Sleeve Poncho short salt and pepper, made entirely by hand, brand Inedito.